The Hoedspruit Endangered Species Centre has undertaken a number of anti-poaching initiatives to safeguard their rhinos, both at the centre and on the greater Kapama Game Reserve. 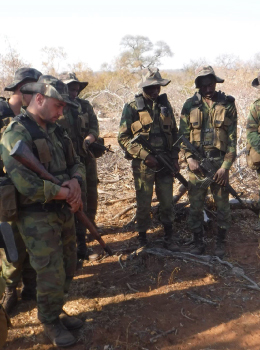 HESC works closely with law enforcement and supports anti-poaching units on surrounding game farms by various means. By undertaking educational programmes among schools in the area and working with communities, it is hoped that people can be prevented from ever entering and participating in this cruel (but sadly lucrative) practice. HESC assisted in the formation of the Endangered Species Protection Unit (ESPU) after two hand-reared rhinos were poached at the centre in 1989. The ESPU’s mission was to curtail the international trade of endangered species, which uses South Africa as a conduit, by adopting a multinational approach and, through the early identification of crime trends, initiate pro-active operations. Lente Roode and HESC generated funds in order to assist the ESPU with their specialised functions. Activities included investigation and prevention of criminal behaviour in respect of exportation, buying and selling of endangered species or products thereof. Unfortunately this unit was disbanded in 2003, and the unit has now been integrated into the organised crime unit of the SA Police Services as part of a national restructuring initiative, leaving South Africa without a law enforcement tool as far as environmental matters are concerned. In its short lifespan, the unit enjoyed several big breakthroughs. HESC is still working with the greater Kapama area to protect the species on the reserve, and has established its own Anti-Poaching Unit (APU). This unit is renowned in the greater Kruger area, and works with the police as well as the CIS in the Kruger National Park, and several other anti-poaching units. 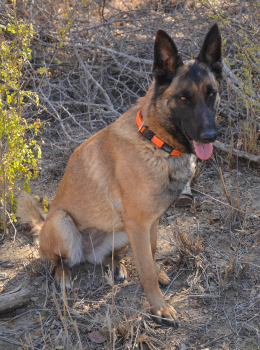 Albe Nel is both head of security and of the APU on the Kapama Game Reserve. The Kapama APU patrols in the high-risk areas of the reserve and conducts daily foot patrols on the reserve looking for traps and poachers. It also conducts occupational safety inspections on a regular basis. In an effort to combat poaching, the Kapama APU has been using tracking dogs as part of its anti-poaching initiative. There are currently two male bloodhounds that have been trained to track poachers. These tracking dogs traverse the Kapama Reserve, HESC and surrounding areas. HESC has been working closely with Pro-track, a private institution in Hoedspruit, which offers anti-poaching training and provides participants with practical experience during the course. Rhino poaching has become much more organised over the years, and the monetary reward has increased tremendously. Poachers now make use of the best technology and they are often heavily armed. They use helicopters and have a lot of assistance available should they need any help. 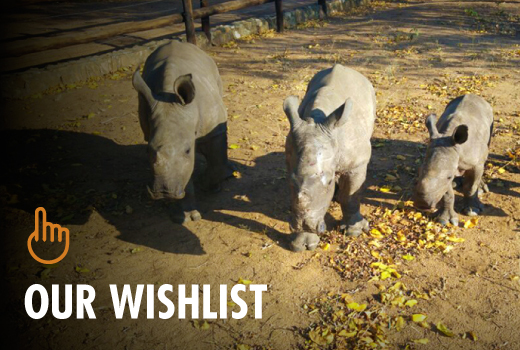 More and more people are getting involved with rhino poaching due to the financial incentive. Therefore game rangers should be well trained and have the necessary equipment to protect the animals. To improve security at HESC, the ‘Eyes on Rhinos’ initiative was launched. In addition to the motion sensor beams and permanent guards, we have put up a 24-strand 7 900 volt electric fence that will serve as an added barrier to any would-be poachers wanting to get near the rhinos.